TOKYO -- Panasonic EV Energy Co., which supplies batteries to the Prius and most other Toyota Motor Corp. hybrid vehicles, has changed its name to reflect Panasonic Corp.'s dwindling influence in the venture. The battery maker's new name is Primearth EV Energy Co. 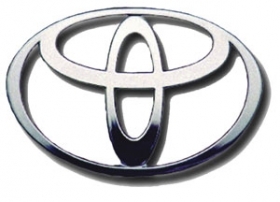 The company was founded in 1996 as a joint venture Japanese electronics giant Panasonic Corp., which owned 60 percent, and Toyota Motor Corp., which owned 40 percent. Its purpose was to make batteries for hybrid and electric vehicles. But in 2005, the shares flipped, with Toyota taking 60 percent and Panasonic holding the rest.In April, Toyota boosted its stake in PEVE to 80.5 percent, partly to allay antitrust concerns raised by the Chinese government after Panasonic's purchase last year of rival battery maker Sanyo Electric Co. Panasonic now holds 19.5 percent of Primearth. The new name drops the reference to Panasonic and is an amalgamation of Prime and Earth. Separately, Primearth also announced that it reached the 3 million mark in battery pack production. It took the company 10 years to make enough battery packs for 1 million hybrid cars, hitting that level in 2006. By December 2008 it had made 2 million. The cumulative count rose to 3 million battery packs at the start of June, just 18 months later.